Glutamine is a non-essential amino acid. J. Bland, a nutrition researcher, however, suggests that under certain conditions it may become a 'contingency nutrient', and, therefore, be considered essential. He points out that glutamine is synthesised in certain tissues for use in others. Glutamic acid can be synthesised from a number of amino acids. Known as the 'sobriety amino acid', glutamine is involved in two important roles. Along with glucose, it is fuel for the brain cells. The second function of glutamine is to act as a detoxifier of ammonia from the brain. As it picks up ammonia, glutamic acid is reconverted to its original form of glutamine. Glutamic acid also plays an important role in the metabolism of ammonia. Glutamine is considered beneficial in the treatment of alcoholism. It plays a protective role in the body's relationship with alcohol. An amount of two to four grams glutamine taken daily, is the suggested treatment for alcohol problems. Dr Bernard Rimland of the Institute for Child Behaviour has successfully improved behavioural problems in children by nutritional means, which include glutamic acid as a major component. Other noted areas in which glutamine can be used beneficially are depression, IQ improvement in mentally deficient children, healing of peptic ulcers, epilepsy in children, and schizophrenia. 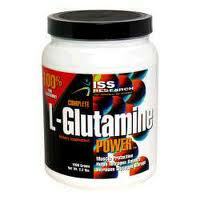 L-glutamine (the natural form of glutamine) is available as a supplement in 500 mg capsules. Recommended dosage is up to three 500 mg capsules or tablets either half an hour before or two hours after eating. You may start with 500-1000 mg for the first few weeks and build up to 1500 mg over the course of a month. Glutamine deficiencies are seldom seen. However, a contingency status may be reached through extensive demand in relation to genetic factors which lead to an inadequate synthesis in the body. As the brain is able to store relatively small quantities of glucose, it is dependent upon glutamic acid. The shortage of glutamine or glutamic acid in the brain results in brain damage or dullness of brain due to excess ammonia.